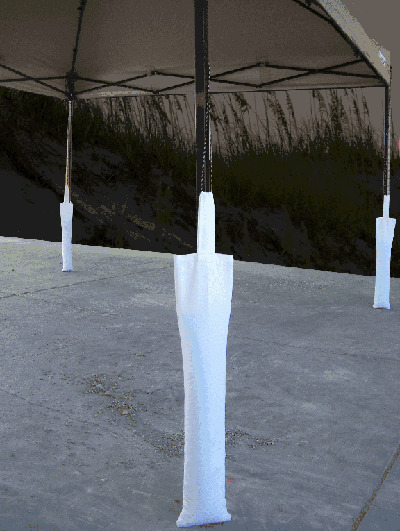 Home > Awning Sandbags Black 2 pk. 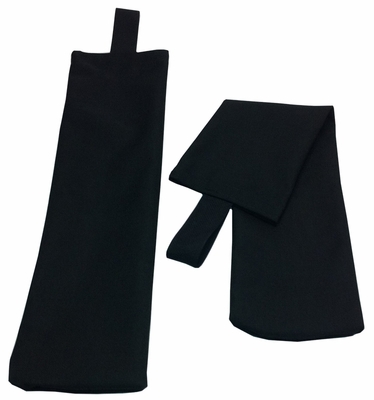 Awning Sandbags Black 2 pk. Each bag is 8" x 30" and holds up to 25 lbs of sand, which can be filled and emptied via the 8" hook and loop (Velcro) opening at the top of the bag. This long slender bag also can be used along the edges of pop-up tents wherever stakes are not desired. Built using high quality 1000 denier black Cordura nylon fabric with waterproof coating applied to inside of bag.